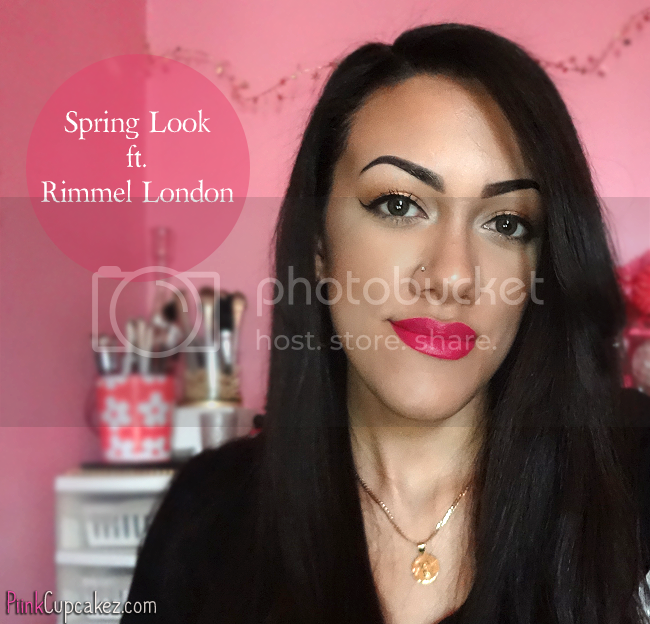 Easy Spring Makeup Look ft. Rimmel London. Golden eyes and bright lips are a must for me once the weather starts getting warmer. This look would also work lovely as prom makeup. It's something easy and screams "Hot!". For my face, I used Rimmel's Stay Matte Foundation in "True Beige" and added a little highlight/contour action which, of course, does wonders. I then applied a bronze and peach blush to my cheeks and locked it all in with a setting spray. Oh, and let's not forget the gorgeous pop of color(Rimmel's "Back To Fuchsia") on my lips! Apply, blot, and repeat. Check out your local Walmart for all of these products. First, apply an eyeshadow primer. 1. Using the Rimmel Glam Eyes "Sun Safari" quad, pat the golden shade(#1) onto your lid with a damp brush. 2. Sweep a matte brown eyeshadow into the crease. 3. Place a light matte neutral eyeshadow under your brow. 4. Apply an almost white, matte eyeshadow in the tear duct. Then take the lightest shade(#3) from the "Sun Safari" quad and place it over that. 5. 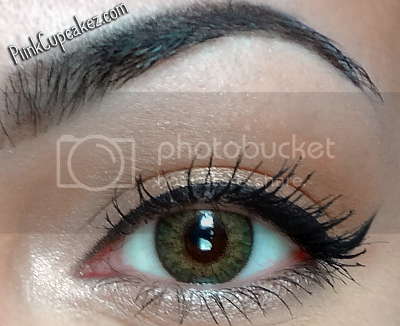 Add shadows #3 and #4 to lower lash line. Apply your eyeliner and Rimmel Scandaleyes Retro Glam Mascara and you're all done! 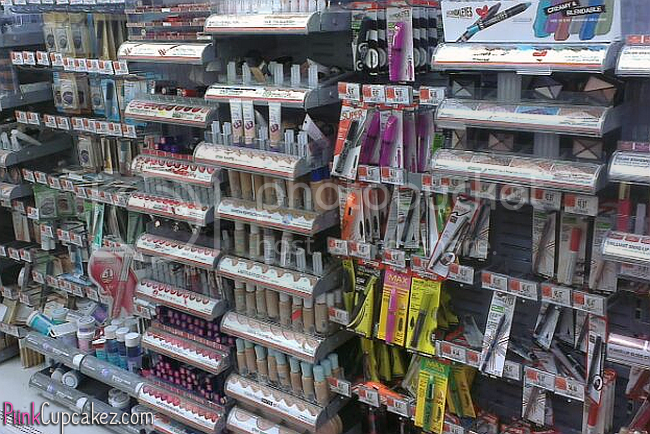 Since this month is Rimmel’s 180 year anniversary, there will be a $1 off coupon in the Sunday newspaper for the Scandaleyes Retro Glam Mascara and Stay Matte Foundation. 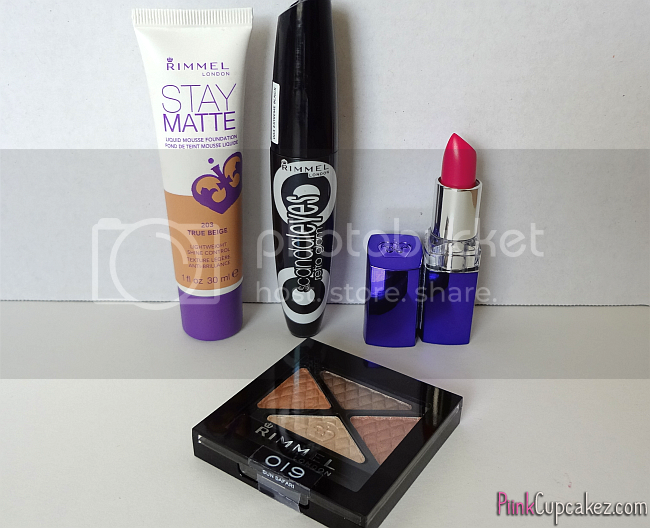 Rimmel is also giving away 25 $50 gift baskets filled with their best products. Enter below for your chance to win! Check out my instagram for a mini tutorial. 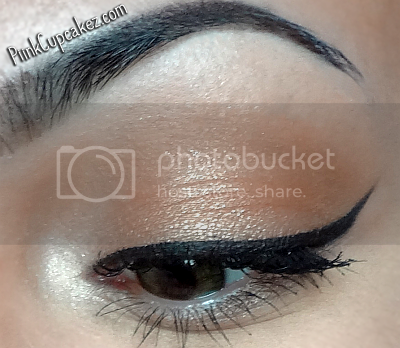 Hope this look gives you a little #BeautyInspiration ! Love the makeup! I'd create something, but more darker with the products. Love that lip color! I've missed your blog!!! As always love the make up!!! Your eyebrows are always on point!